Choi said Africa and the Middle-East lose at least $1.4 billion annually in local market share due to spectrum colonization. This loss, however, goes to Europe and American markets. Choi said this in a paper entitled: Spearheading Connectivity and Diversifying Revenue Streams that was presented during the SATCOM Africa event in Johannesburg, South Africa. 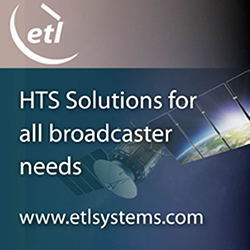 He revealed that, currently, the global revenue around the world, for all satellite services, including DTH TV operations, was about $65 billion with the more than 200 satellites in the orbit. The revenue stream, however, favors Europe, which has about 90 percent market share, North and South America which have 90 percent market share, and Asia which has 70 percent market share. It leaves Africa and the Middle-East, which have 17 percent market share, in the lurch. Choi noted that in North and South America and Europe as well as Asia there are local satellite operators who have their own spectrum licences to provide services to their own local customers in their markets. Even worse for Africa was that about 90 percent of available satellite spectrum belongs to countries other than Africa and Middle-East, allowing such countries to orbit satellites over and above Africa. Choi said, “Because the available spectrum rights have been taken up by Europe, America, and Asia, these countries serve more than 80 percent of the total satellite demand, even those coming from the African and the Middle- East regions.” (Source: Vanguard, by Prince Osuagwu).